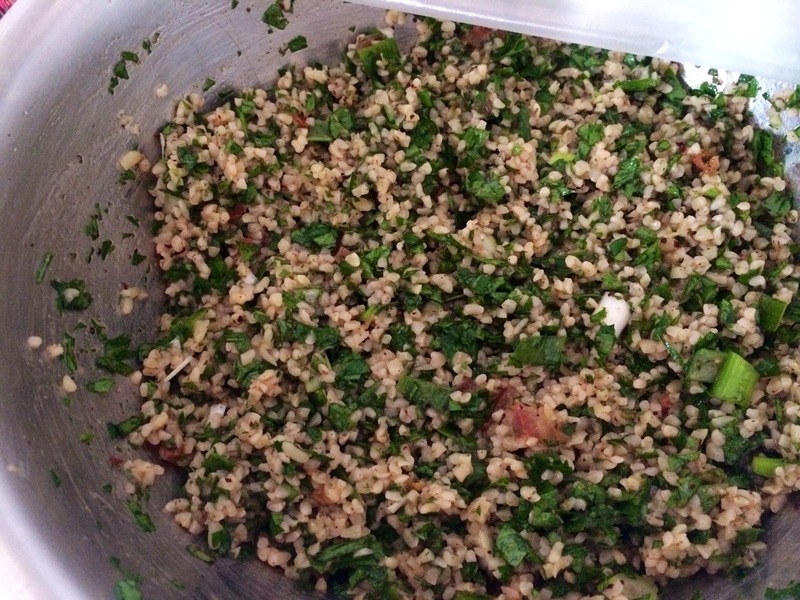 Home › Dining out & about › Tabbouleh First time ok? The Lebanese feast prep continues.. Actually is this all Lebanese? Not sure.. I shall class it as such.. When I first began this blog me and Mrs Fitz went to Dubai.. And had the most excellent food.. This is starting to remind me of that.. And that’s real cool .. Real cool indeed.. My father also bought me my first Ferrari .. Check out the post.. It’s way back! So.. Tabbouleh .. Bulgar wheat..
Kettle hot water with an organic chicken cube.. Again I haven’t made this so bear with me right ! It soaked it all up! Added more chopped parsley and mint.. Lemon juice too.. Lemon really is a big feature today! Salt and a beef tomato.. (See sneaky beef!).. Olive oil and Cornish sea salt. It’s covered up and doing it’s thang .. This is gonna be a great supper I tells ya! Was introduced to Tabbouleh while living in the Middle East. Makes for a great side! That is a lot of chopping you’ve been doing – but what a lovely combination of Middle Eastern dishes. Have a lovely weekend. So glad you brought all of these dishes to the party! Love your tabbouleh too! This is just beautiful. Looks authentic to me! What a FEAST you are preparing! Wow you really are on a middle eastern kick aren’t you??? Good for you! Yeah.. Went a bit wild! 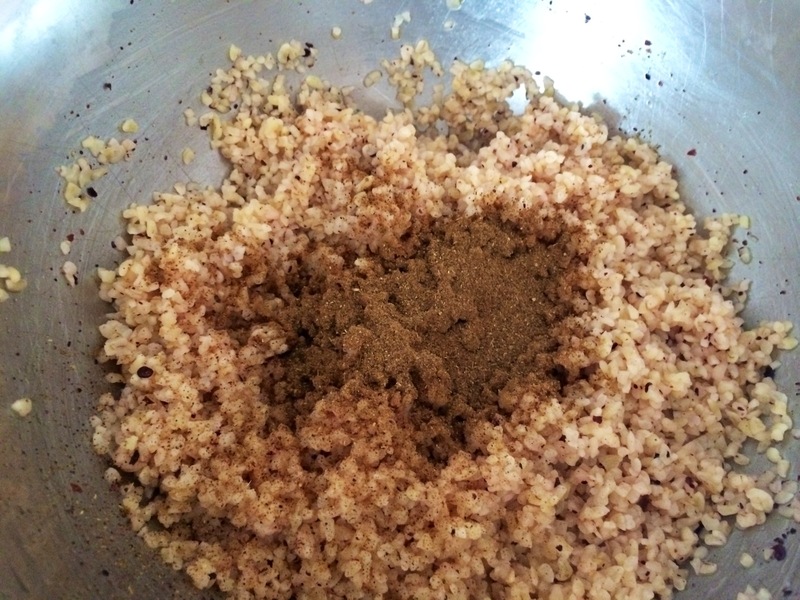 I’m making this weekend for a party using cous cous instead of bulgar hope that works, do you not use onion? Just wondered if you are supposed to. For cous cous I always use onion and peppers.. I don’t dig the fruit in cous cous.. People love it though ! Go for a really well diced one? I love tabbouleh! So fun!